Printrun 2014-04-06 has been released, with new optional mini controls, a new 3D visualization, a more flexible user interface and much more. All development happens on GitHub in an open manner. No code drop, no hidden licenses: this is free software and will always be. User interface is all a matter of taste. This is why we give you a lot of choices on the host interface. Temperature gauges or graphs, full controls for calibration or lightweight ones for daily usage, 2D or 3D viewer, tabbed or single window interface... It's all your call! There is no better place than command line for you ? Don't have GUI access to your computer ? 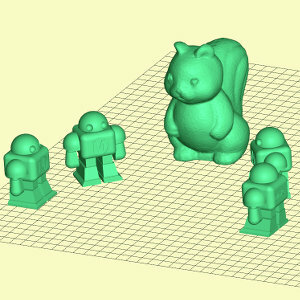 Then just use Pronsole, a light and functional CLI host for 3D printers. 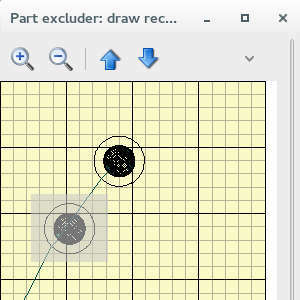 Using Slic3r ? Great ! 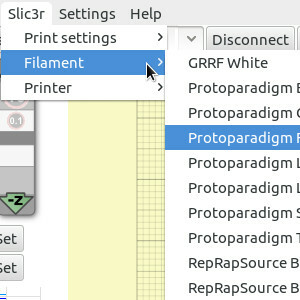 You can directly choose your Slic3r presets from Pronterface, and use them straight away to slice your parts from within the host. Like defining your own commands ? 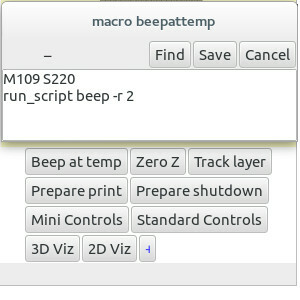 Printrun lets you easily define macros (with arbitrary python, shell and G-Code combinations) and add custom buttons for them within Pronterface. 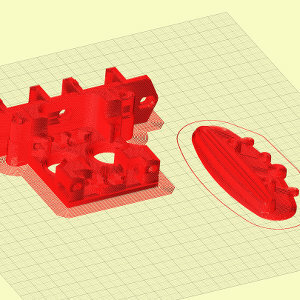 A failed part is about to ruin the print of a plate of ten objects ? This is not a problem anymore. Just use the part excluder to stop printing just the failed object while continuing the others. Have a bunch of objects to plate ? Just run the plater, position and rotate the parts to your desire and you're done. 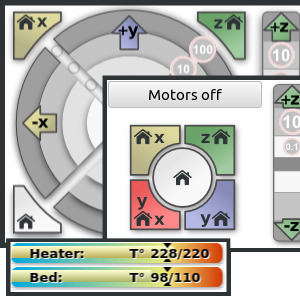 Oh, and we can use smart auto arrangement algorithm too, if installed ! Want to print a plate of already sliced G-Codes which use different settings ? Just use the G-Code plater to combine them in a single print job. 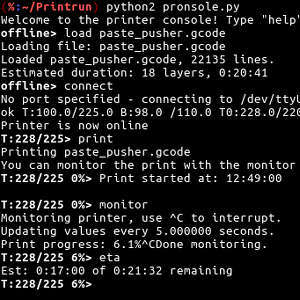 Printrun can be used on many platforms, and is regularly tested on several Linux distributions, on Windows and on OSX. Compilation and installation instructions for Linux are available in README.md. Coming soon™. README.md is currently the best source for documentation on how to install, configure and use Printrun. If you need any help, try asking on IRC in #reprap on irc.freenode.net (feel free to highlight Kliment and iXce). If all else fails, please open an issue on GitHub. Printrun is free, open-source software, licensed under the GNU General Public License, version 3. Printrun was created by Kliment Yanev, and is now co-maintained by him and Guillaume "iXce" Seguin. Printrun is free, open-source software. Dedicated to #reprap @ irc.freenode.net.